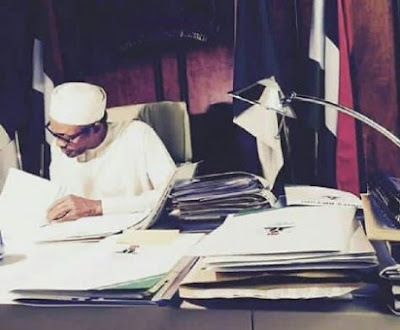 The Federal Government led by President Buhari on Wednesday made known about 34 projects and programmes that are of more priority to ensure optimal performance of the 2016 budget. The development was in view of the presidential assent to the budget which may happen anytime soon. According to the government, the action-plan becomes necessary in order to assist the present administration realize the aims of the APC as outlined in the change agenda. The plan was announced by Zainab Ahmed (Minister of State for Budget and National Planning), after the Federal Executive Council (FEC) meeting presided over by Vice President at the Presidential Villa, Abuja. Addressing State House Correspondents, Ahmed revealed that 34 priority areas earmarked by the federal government for urgent attention. According to the Minister of State, the economy, trade and investments, security, health, power, Oil/Gas and agriculture are core areas to be accorded priority. She noted that the budget could be signed into law by the President soon. Ahmed said: "We discussed the strategic implementation plan for the 2016 budget‎. “Our ministry’s presentation was introducing to council for discussion priority economic activities that we need to undertake to ensure that the purpose for which the 2016 budget was made which is to stimulate the economy, to create jobs for our teeming youths and to extend support to the poor and very vulnerable is realized". "We presented 34 strategic priority programmes that need to be realized within 2016. Each of these projects programmes has very clear deliverables and targets and indicators which will be measured to ensure that the respective Ministries, Departments and Agencies (MDAs) deliver on what we committed to implement". These 34 specific areas are grouped into four major objectives. The first is policy, governance and security, second diversification of the economy, the third‎ is creating support for the poor and the vulnerable and the forth is reflecting our economy through investment. “The paper was well received by council. We got some very positive comments and the 34 priority projects were approved for implementation. However, the government has to do what they can to make sure the budget is finally signed into law soon as promised. The expectations of the people have being so high...and the earlier the budget is signed, the better for the implementation and hence benefits to Nigerians. What do you think?